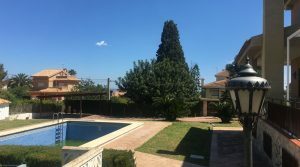 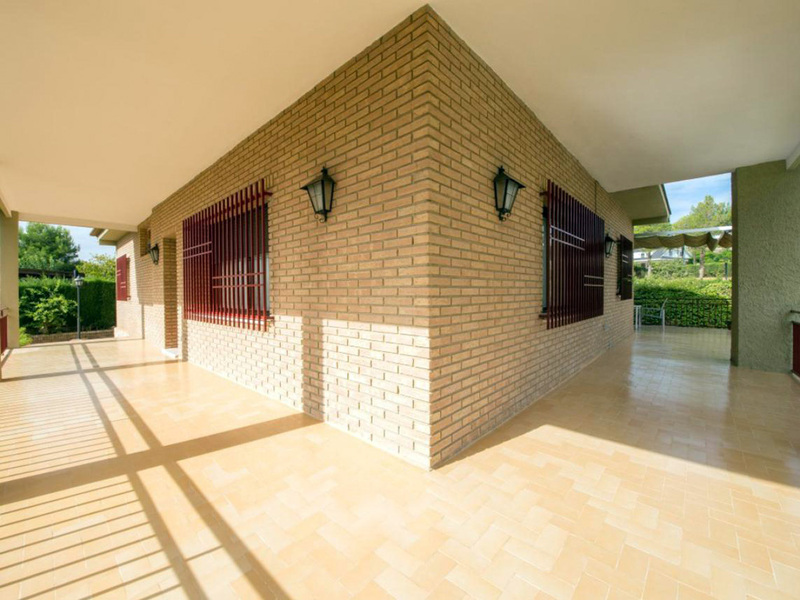 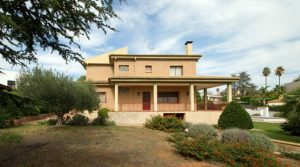 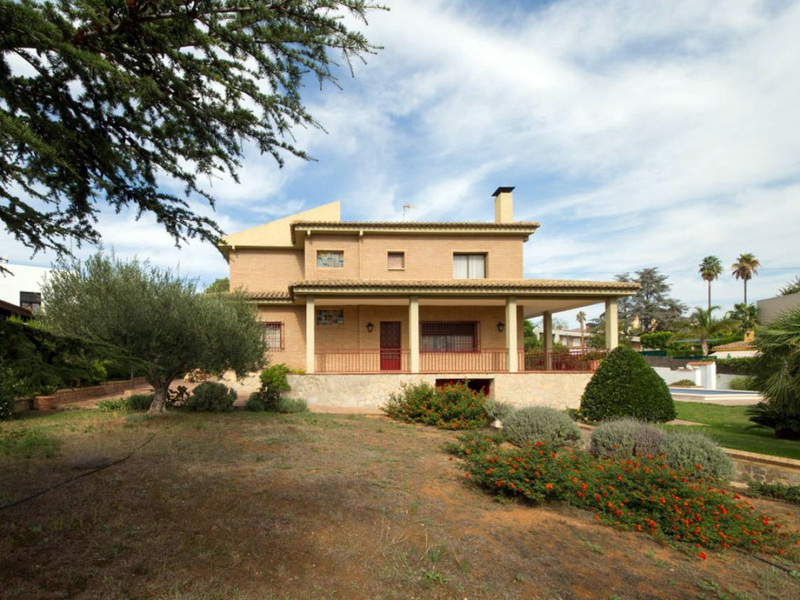 One of our impressive large villas for sale near Valencia. 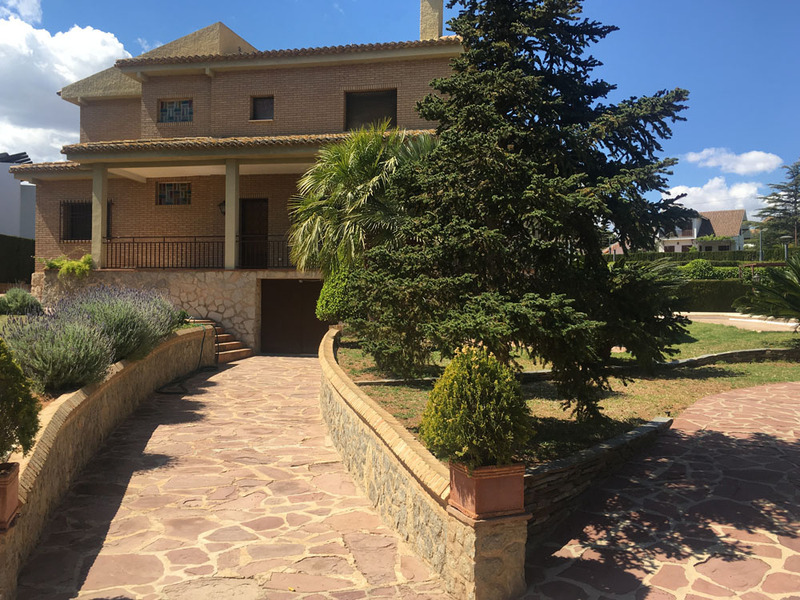 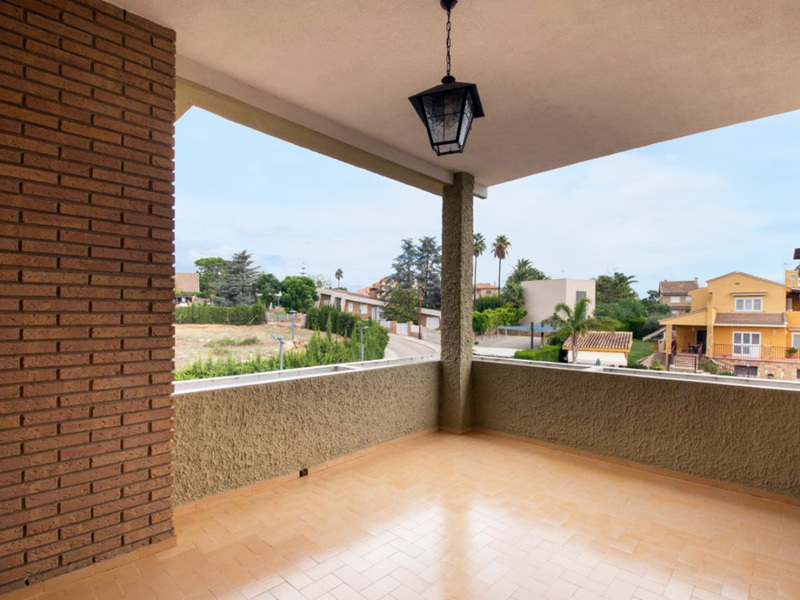 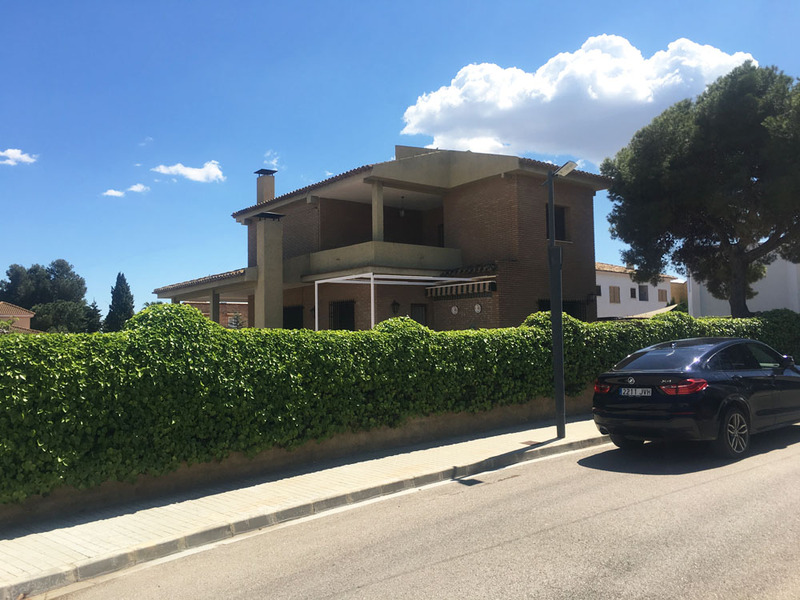 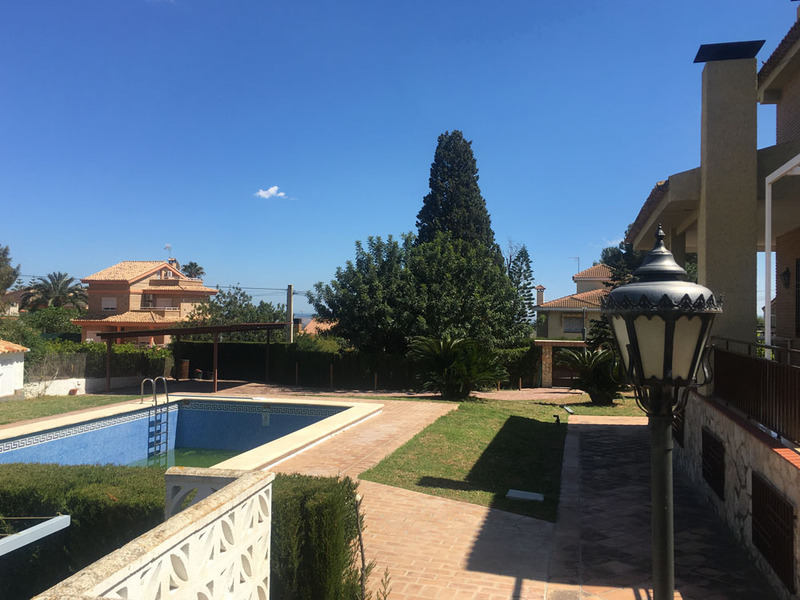 This striking property is situated on the highly desirable Urbanisation Virgen de Monserrat, enjoying sea views across to Valencia city and the coastline. 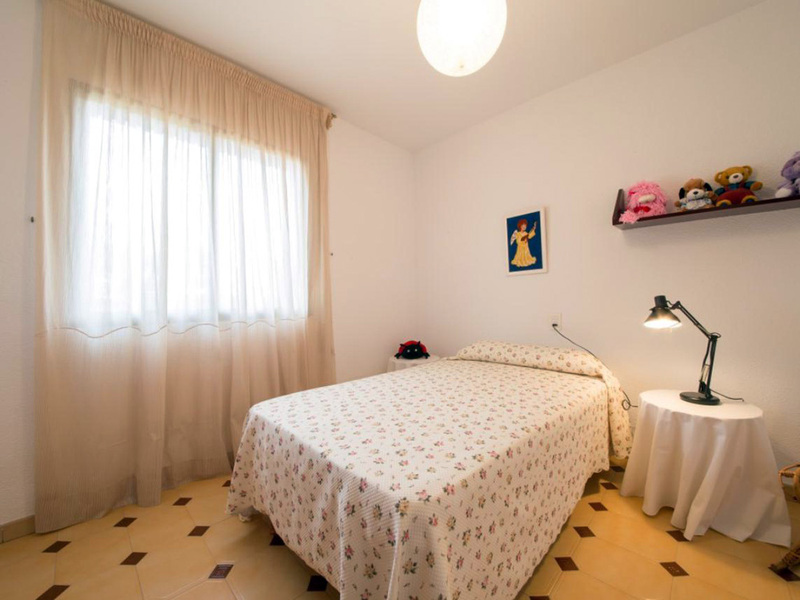 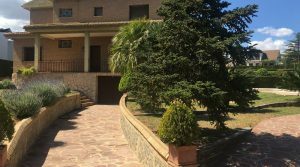 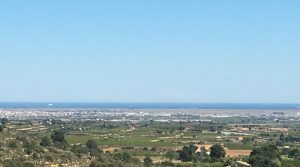 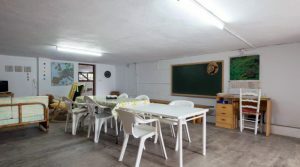 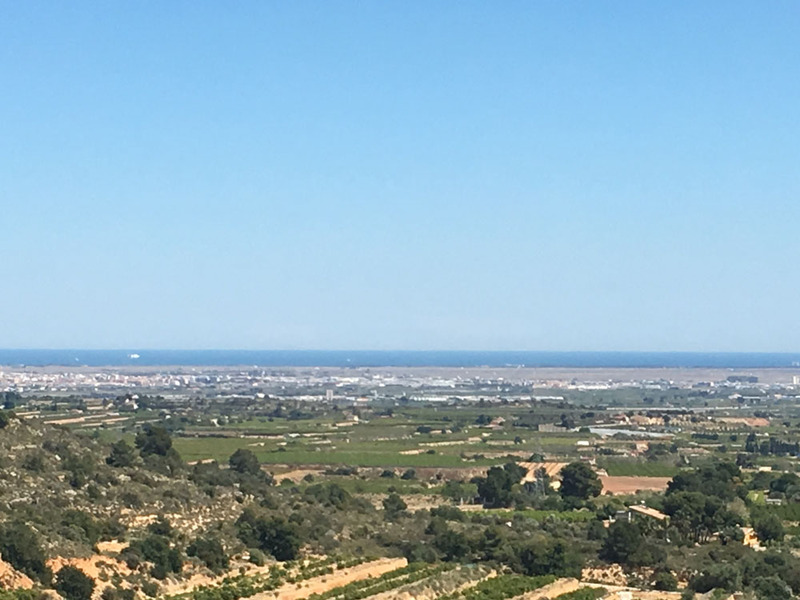 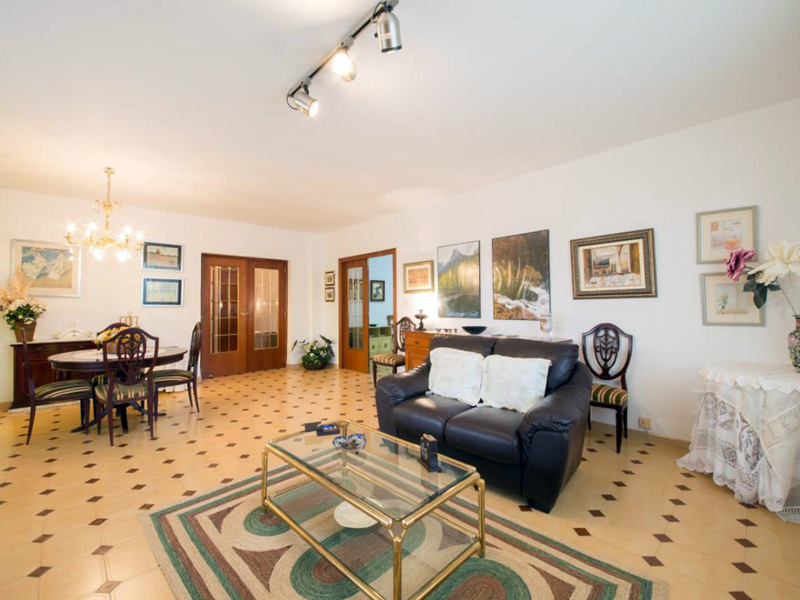 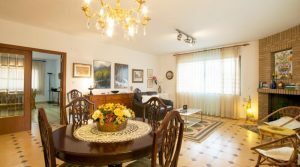 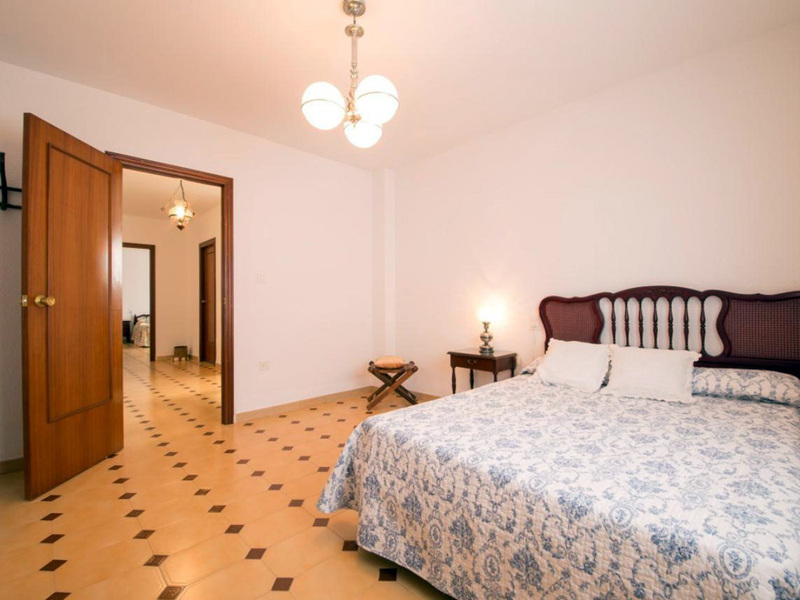 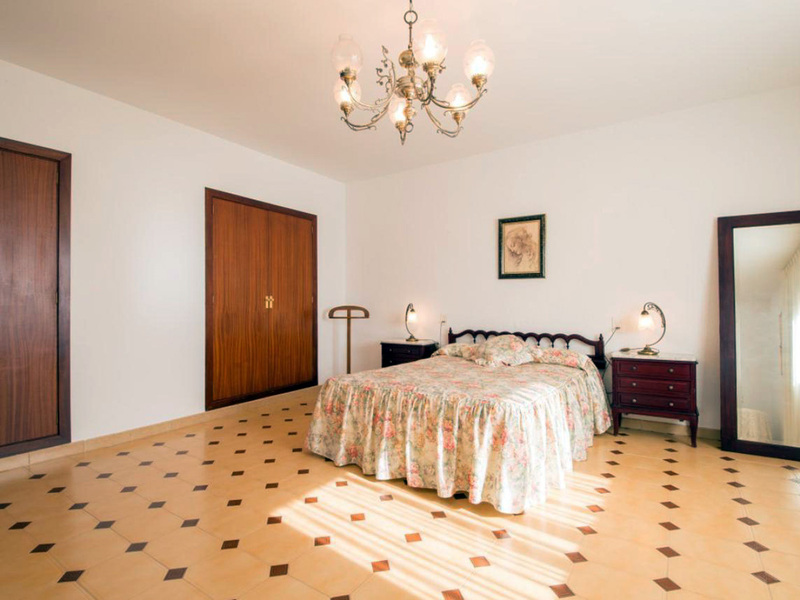 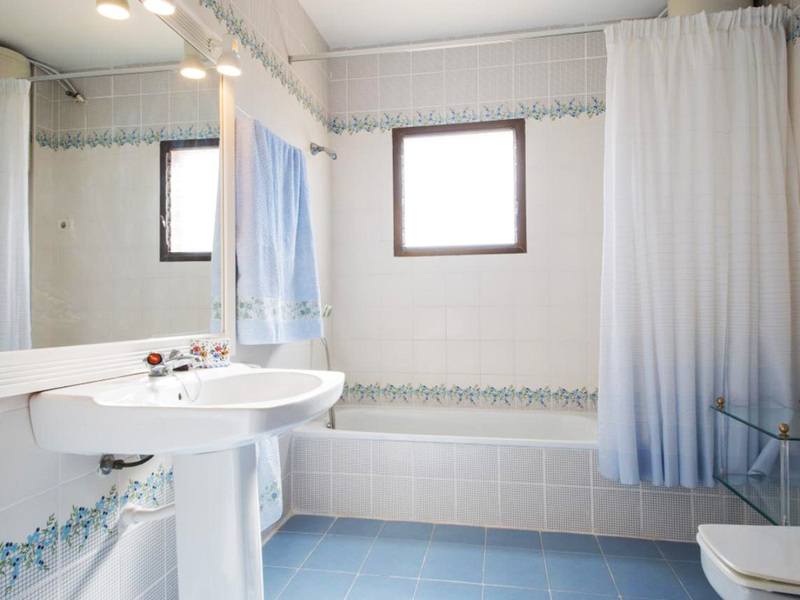 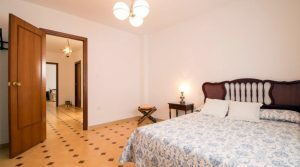 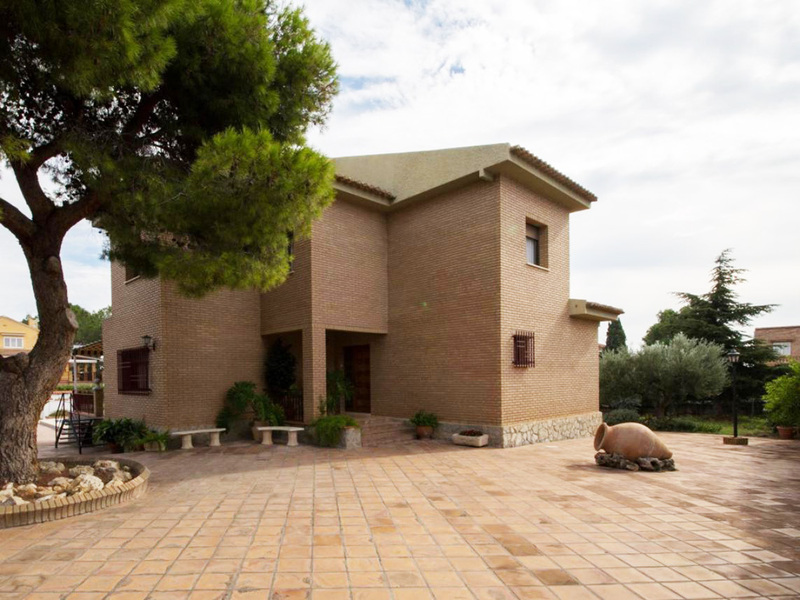 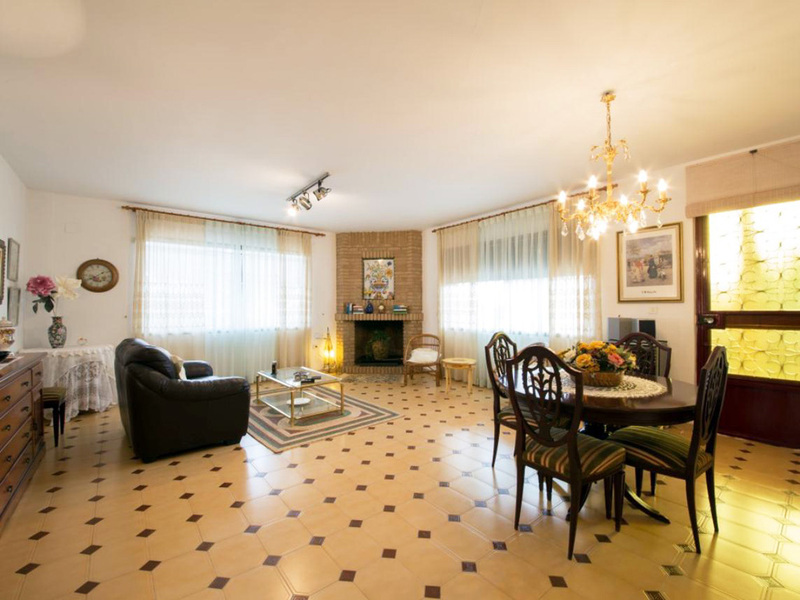 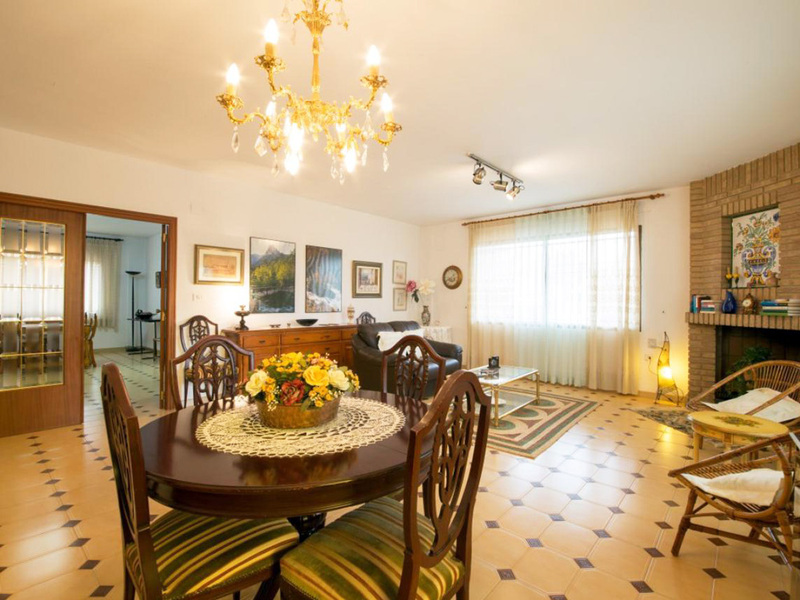 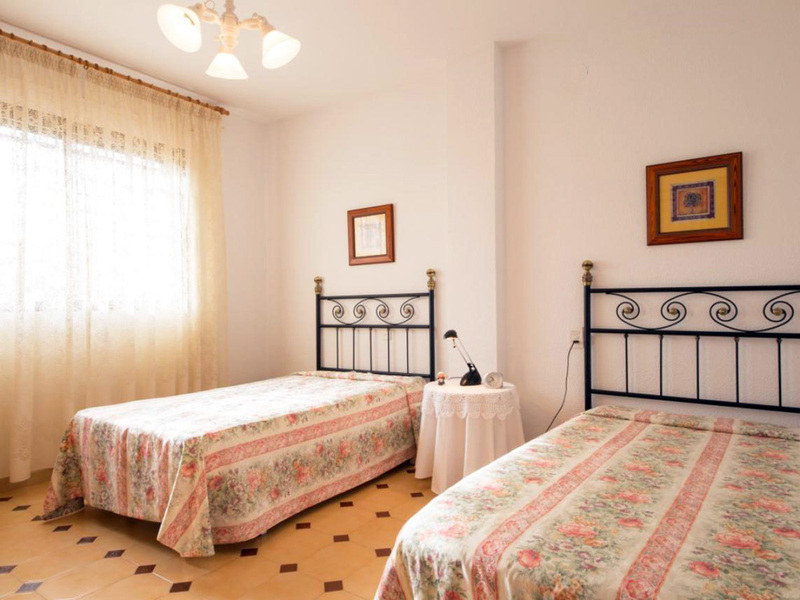 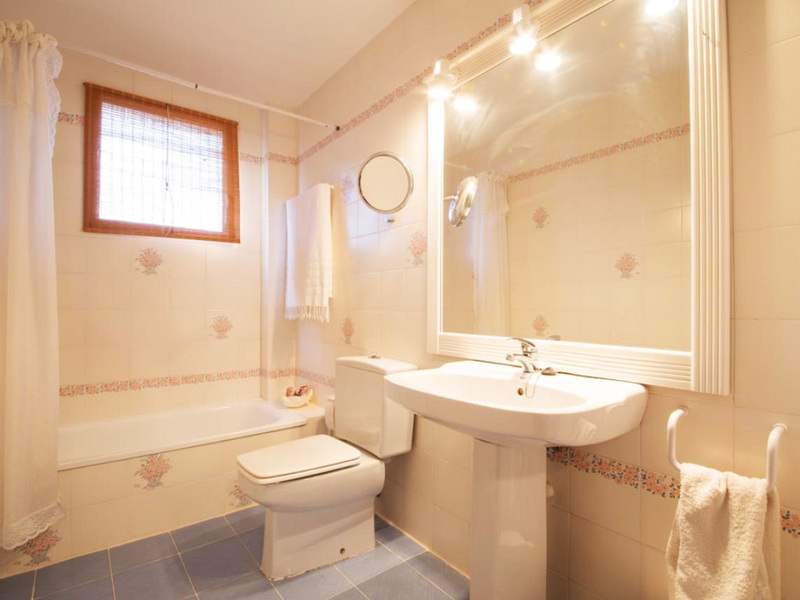 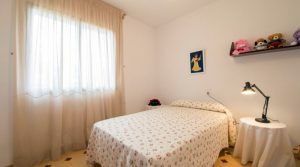 This urbanisation is approximately 3km outside the town centre of Monserrat in the direction of Valencia. 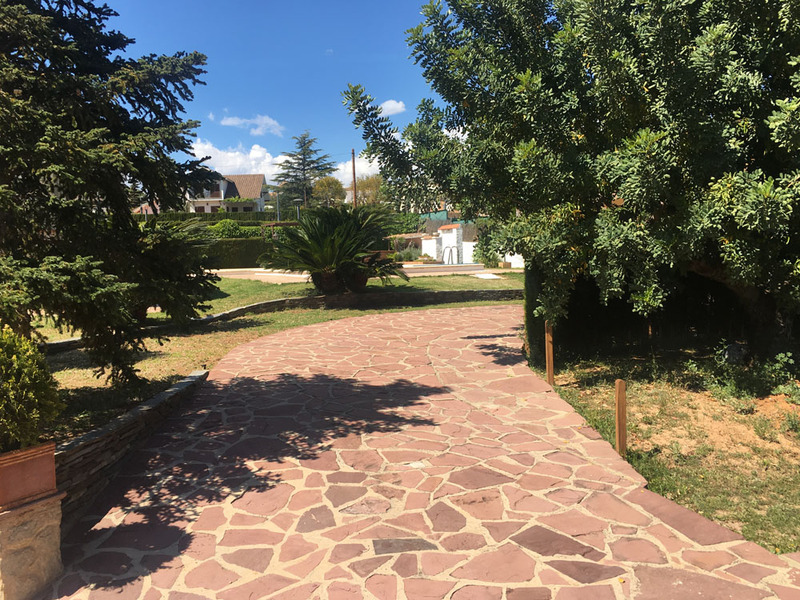 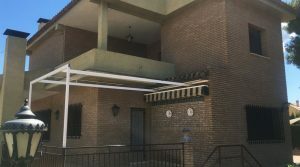 There is a bus stop at the entrance of the urbanisation that takes you in to the neighbouring larger town of Torrent, where you have the metro train station running in and out of Valencia city centre every five minutes. 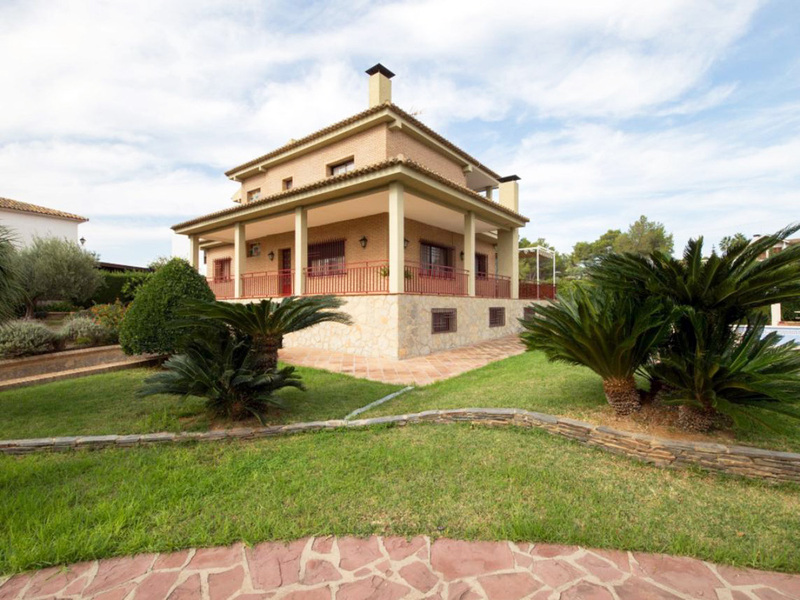 This urbano villa for sale with sea views in Monserrat sits centrally on a landscaped plot. 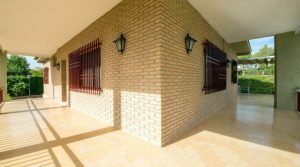 You have double gates opening onto a hand-laid stone driveway which leads to your garage in the under build. 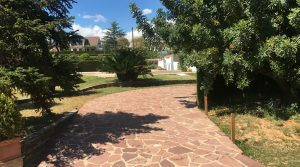 The driveway also leads to the side of the main villa, passing your lawned gardens which are complete with automatic irrigation system to water the mature plants, trees and palms. 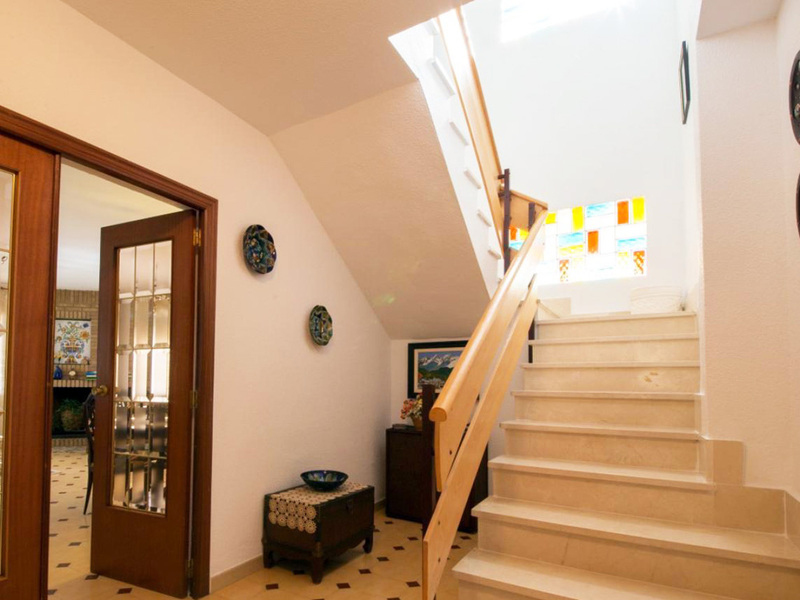 You have a covered terrace porch at the entrance of the villa which opens into the reception hallway. 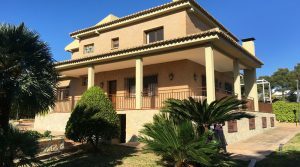 All of the rooms within this property are spacious and each of the five bedrooms are a good size complete with fitted wardrobes. 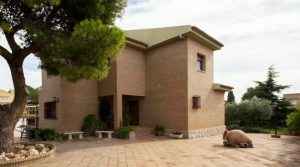 There is a large covered terrace surrounding two sides of the villa complete with tiled floor and ideal as extended habitable space. 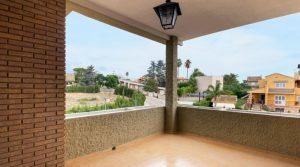 On the ground floor you have a large lounge/dining room complete with a chimney fireplace and patio doors opening out to the large covered terrace from where you can enjoy the sea views. 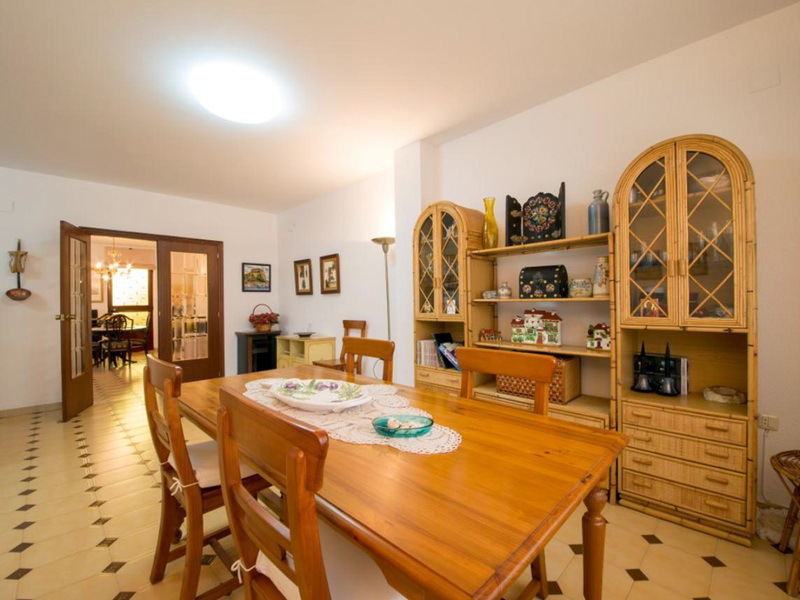 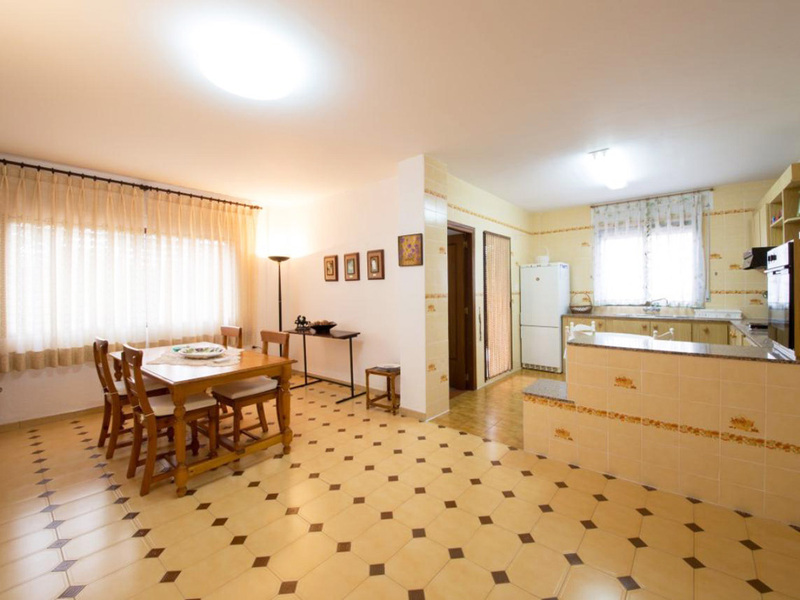 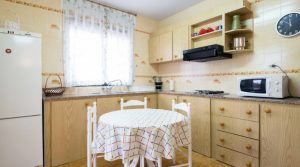 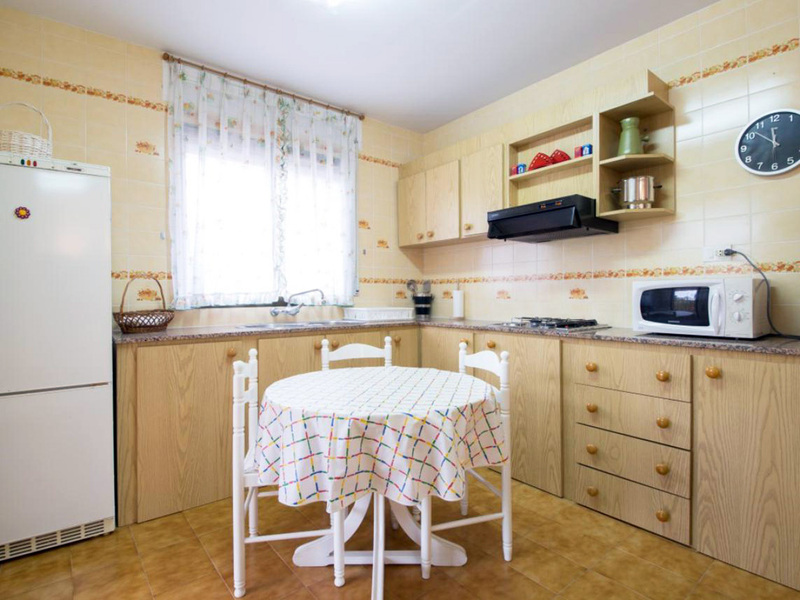 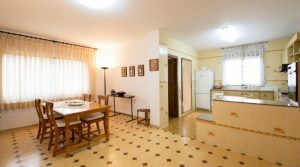 Then there is a spacious kitchen diner which could benefit from being updated with modern units. 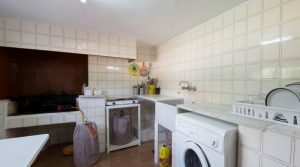 However this kitchen is certainly functional as it is now. 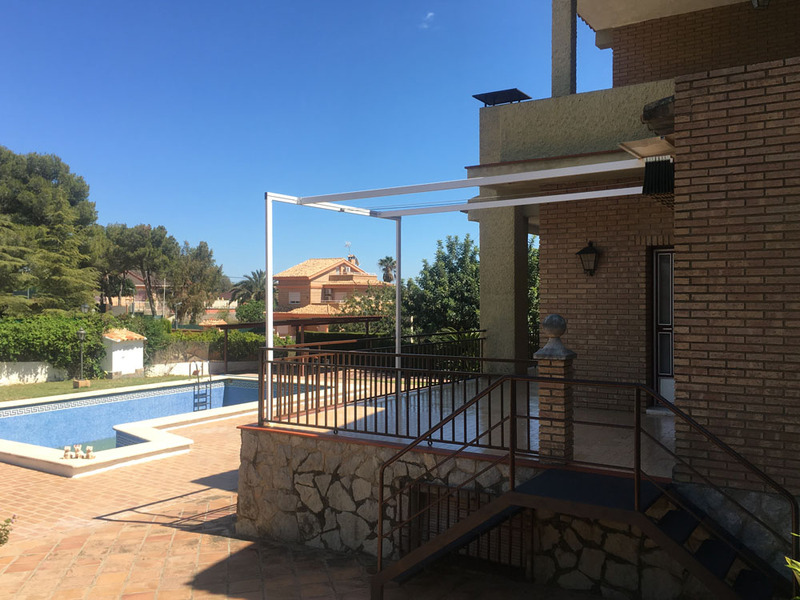 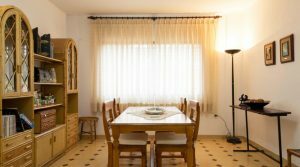 There is a door from the kitchen taking you outside to the side terrace where you have an extendable awning as a roof that you can extend so as to create another covered terrace space, to escape the sun if desired. 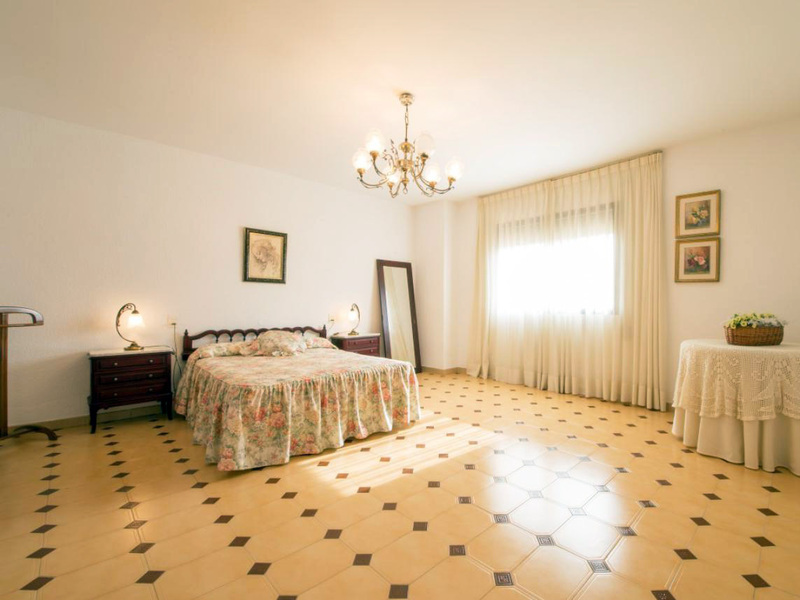 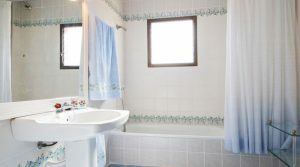 Also situated on this main ground floor you have a bedroom and a bathroom. 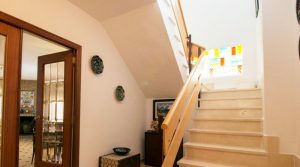 Moving up the marble staircase to the first floor, you have the other four double bedroom, a family bathroom and a lovely outside terrace. 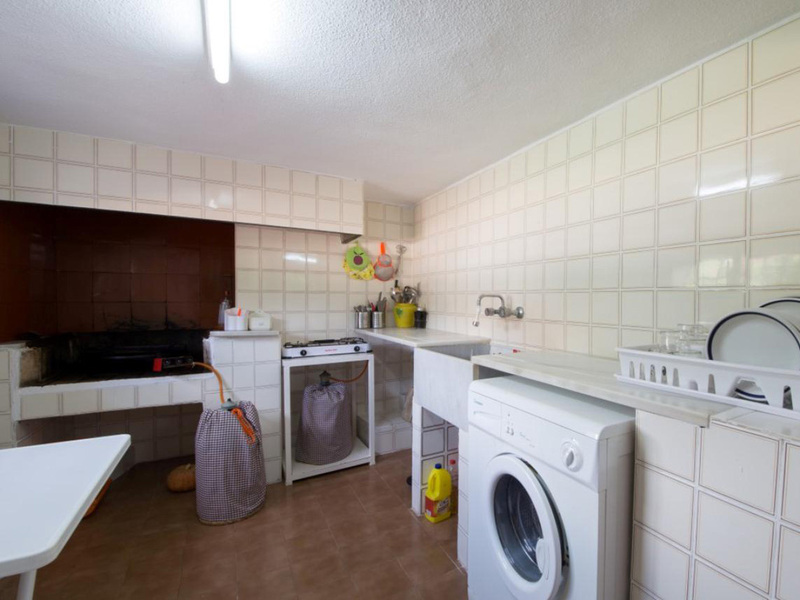 In the under build section of this property you have the garage as previously explained. 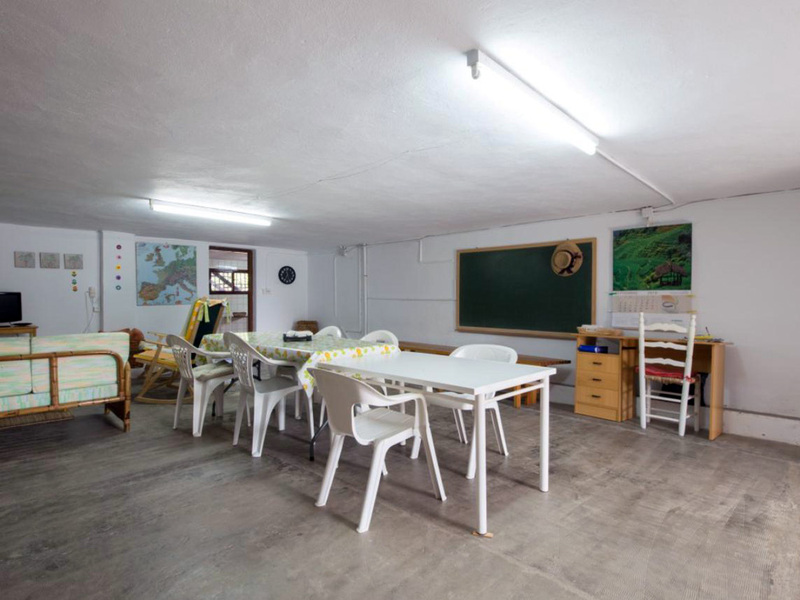 There is also a recreation room. 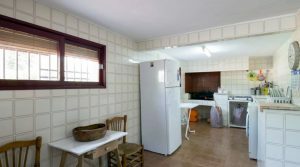 Adjacent to this room you have another kitchen area complete with an indoor barbecue. 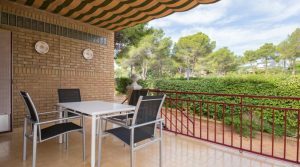 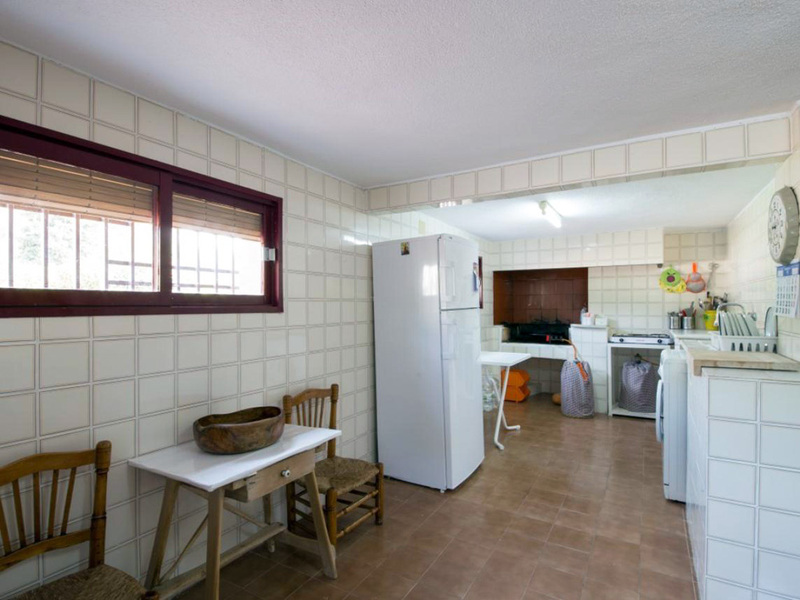 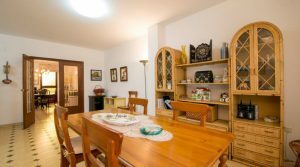 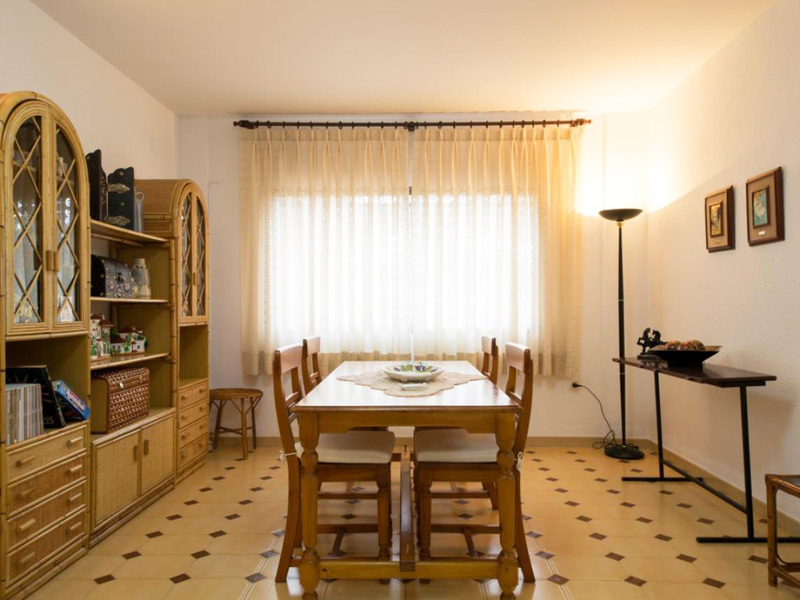 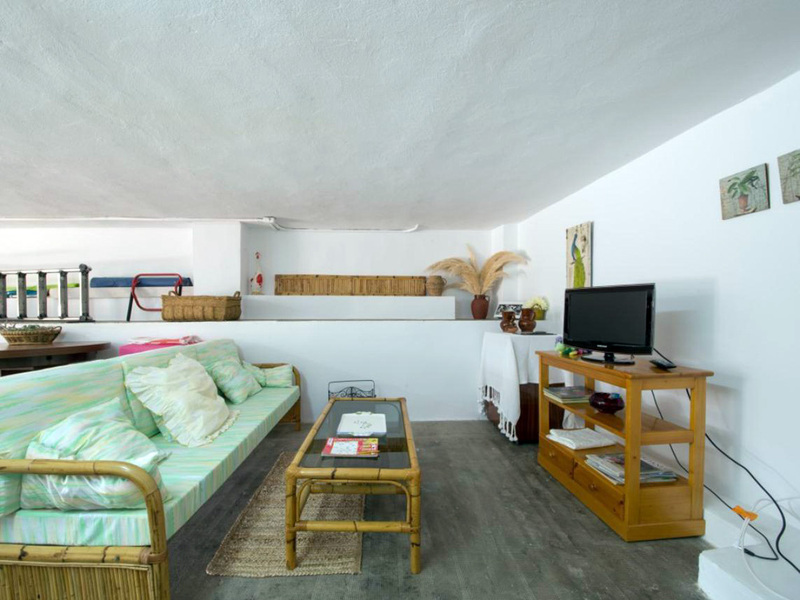 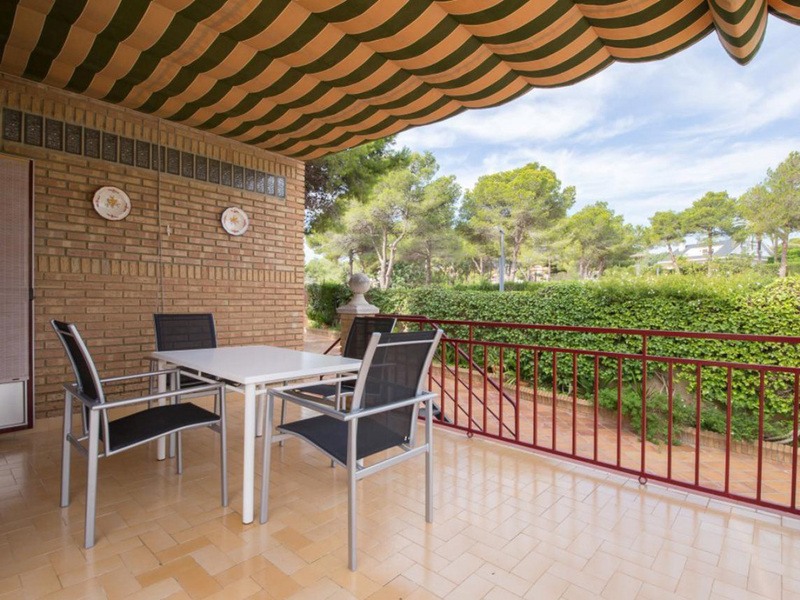 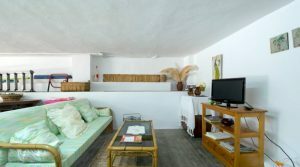 Thhis is the ideal place for cooking your paella whilst entertaining friends and family. 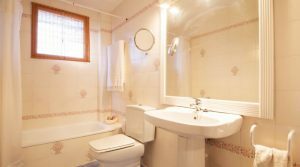 There is also a utility area and a separate bathroom on this lower ground level in the under build. 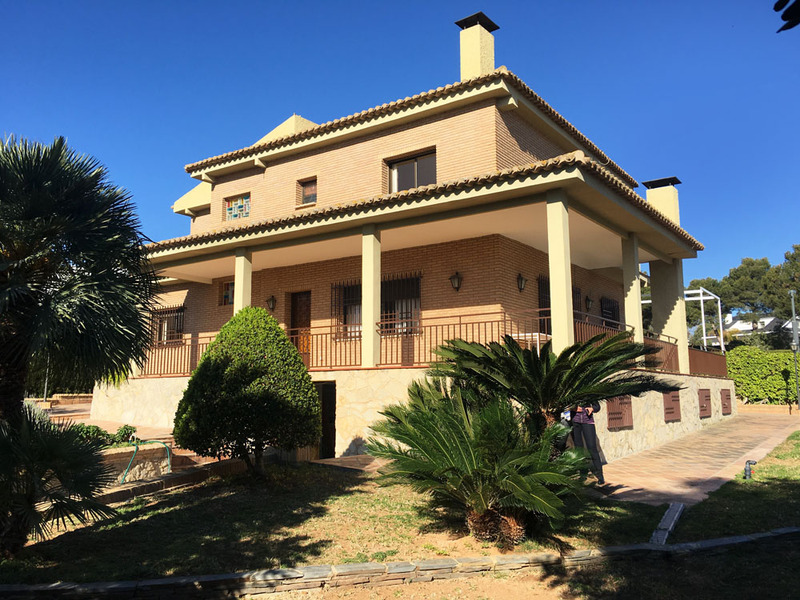 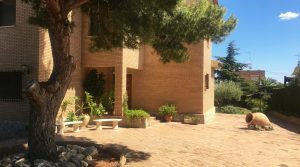 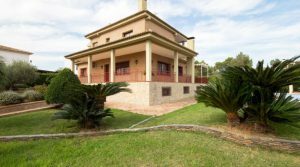 Outside, at the rear of the villa you have your 8m x 5m tiled swimming pool and side entry staircase which is a very nice feature. 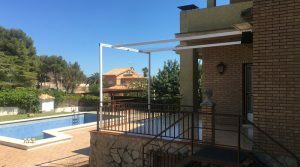 There is a stone seating area to the side of the swimming pool situated under a cane roof terrace gazebo and a pool side shower. 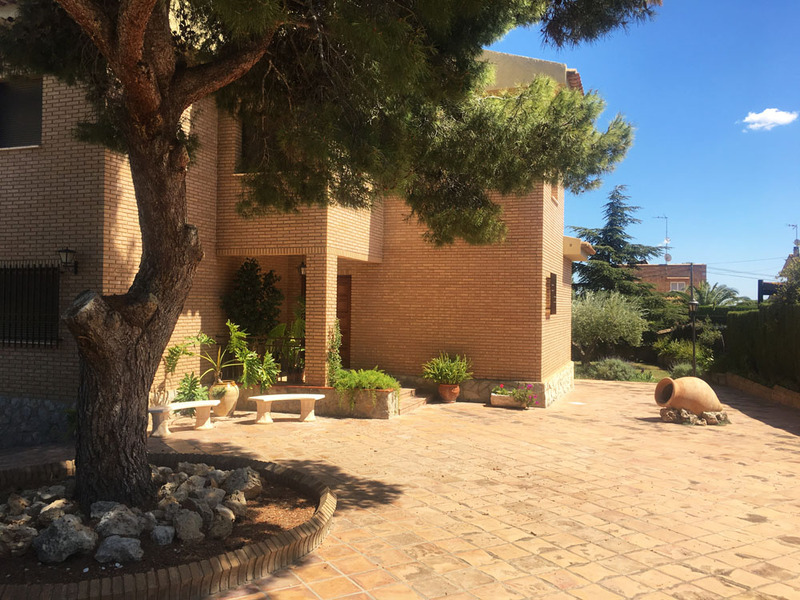 Then you have good outside lighting surrounding the villa and throughout all of the gardens, with lawned areas and an automatic sprinkler system. 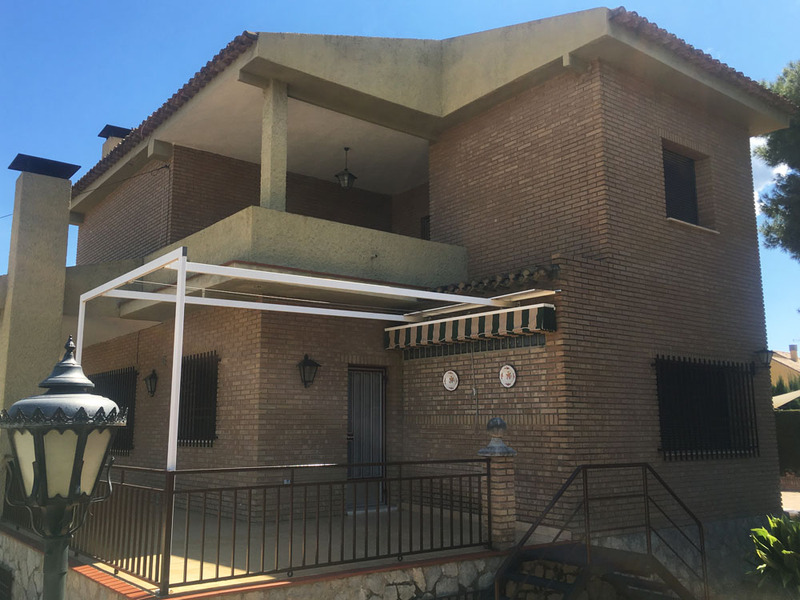 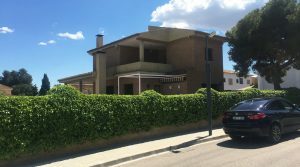 This villa is being sold partly furnished and its large rooms and desirable location makes this a very interesting property / investment.